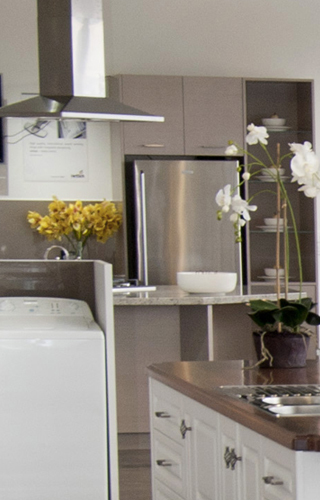 Our Mission Statement has always been "You will find is a pleasure to deal with"
We have perfected a system that provides total control and coordination of your kitchen project. Every step in the design, production and installation of your kitchen including sub trades is a thoroughly checked to our system. The size of our company gives you a personalised service and our years of experience has allowed us to research, test and select only the very best in materials and construction methods. Using the very latest computerised machinery in our state of the art factory, we manufacture to the highest quality, accuracy and levels of workmanship to ensure your total satisfaction. You deal with the owner of the business, operating from their own factory, knowing they have been trading in Ballarat for 29 years. Realistic Kitchens backs its product with a full 10 year guarantee, as well as a life time warranty on the most used parts, such as drawers and hinges. This important function is carried out by staff members of Realistic, not outside contractors, taking that extra bit of care, seeing the process right through from construction to installation. 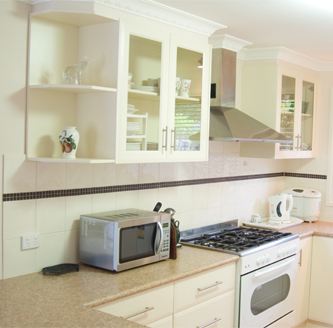 Realistic Kitchens reputation has been built up by many years of outstanding service. This reputation along with client referrals maintains our largest source of work.